Re:Search Launch Party: Join the Celebration! 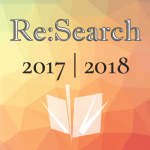 Re:Search is celebrating the launch of our Spring 2017 publication this Thursday, May 4, from 4:30-5:45! 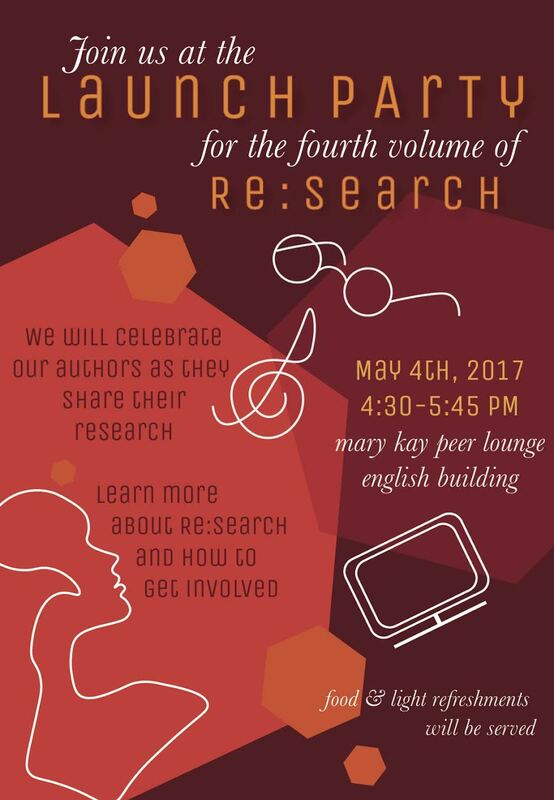 Come to the Mary Kay Peer Lounge in the English building to hear about what our authors have been researching, what Re:Search is, and how you can get involved. Mark your calendars!